Lookie what I saw today. Up to this point I hadn't seen a standalone harness, etc. for the 3 cylinder all I'd found was one from Ford for the bigger ones. It's not cheap, but an engine that small (and light) sure would make things fit more easily and you could build a lighter car. I know it's tall, but . . . I don't have the details right off the top of my head, but I swear the UK Locost guys have been getting some more HP out of it fairly easily. It's not a revver, but instead has a very wide power band. I mean look at where the torque peaks and if I remember correctly it doesn't fall off all that much until way up in the powerband. They'll even remap it for modified engines. EDIT: I found a dyno plot of the power. It'll end up having roughly the same power-to-weight as a almost sporty commuter car. Yeah it'll out corner anything, but freeway on-ramp challenges might not go well, and above about 80mph, drag will kill whatever weight advantage it has. Not trying to rain on the parade, just being objective about what it would end up being. I read recently the manufacturers are pulling back from the really small high power motors. A lot of this comes down to how they write the pollution regulations and then do the testing. On top of that the cheating problems. The article was saying the USA domestic manufacturers have dodged a bullet on this. It probably is reasonably light, but there is no magic here. Maybe lot's of money for direct injection research. At the other end of the scale a lowly Cessna motor designed more than 50 years ago with 320 cubic inches weighs under 200 lbs., if I remember. That might even be the 360 inch version. Those motors work much harder than car motors, many spend most of their lives at %75 power. Recently someone posted a link for a V4 bike engine with pushrods. That would be a sweet setup for our cars. We want a space efficient engine, not a displacement efficient engine. Light is good too, but that is not coming from high tech, it comes from high quality parts that people knew how to build a long time ago. You look at a crank for a Lycoming engine and then look at a $4000 dollar crank for a pushrod V8 and you'll see the same things. It's a nice little motor. I think with it's height, it would work best in a transverse middy layout car, rather than the traditional Locost chassis. 123 hp/L is not a huge amount of power for a turbocharged engine, Honda gets that power density naturally aspirated, but the flatness of the torque curve is quite impressive on this motor. Anyway, if you can keep your build under 1230 lbs it will get you 10 lb/hp, which may be sluggish compared to KB58's midlana but it puts it in the range of pony cars and beats out things like the Subaru WRX and BRZ so it would still make for a fun sports car. That 123 HP is stock. Your average econobox weights about 3000 lbs. 10:1 means 300 HP in an econobox. With a reflash that motor will give you 160 HP. That converts to 368 HP in said econobox. The biggest challenge in the on-ramp challenge (What are you, 17? ) will be getting the power down without wheelspin. Last edited by kreb on February 9, 2017, 9:52 pm, edited 1 time in total. 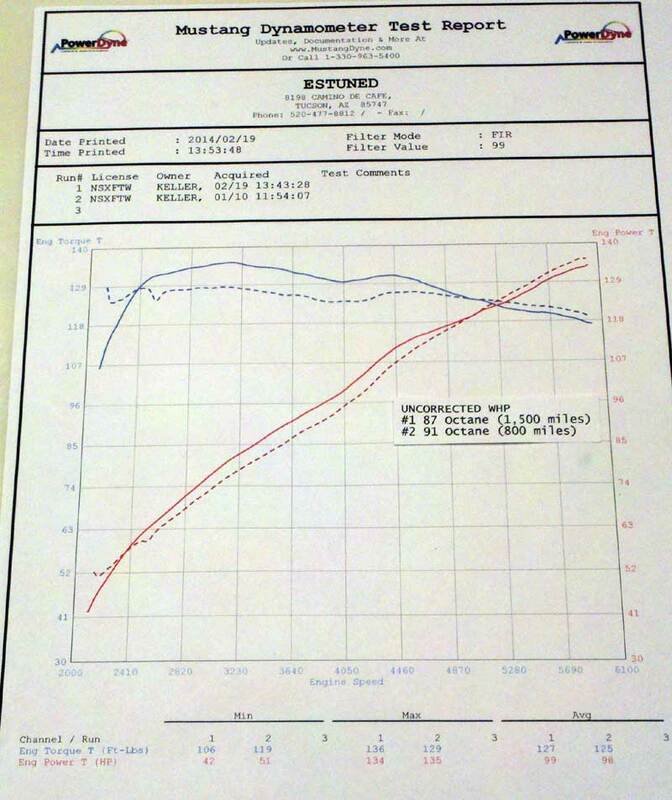 Just don't trust anyone's dyno sheets where Hp and Tq don't cross at 5252 RPM (within reason). Otherwise the 2 curves are made with different tunes, and you can't have everything they are promising. I've given this little motor a lot of consideration, and unless you're really strapped for room, there are probably better choices. To control the vibration characteristics of a I-3 they have to run an Iron block, so the thing weighs the same as the ecoboost 1.6 which has much more power potential. This standalone can come with a different tune, which is very advantageous for this motor. As someone else said, a simple flash gives 160 hp. From the factory it's tuned to be a city driver torquer and not a performance tune, but you know it can be since this is the engine Ford used in their little single seater Nuremberg special so you know it can be done. Since the turbo manifold is integral with the head I don't know how hard it would be to upsize, but somewhere I read about using the turbo off the 1.6 as it seems they take the one off the 1.6 and upsize it so they are available on the cheap. They have come up with ways to mate a RWD transmission, but using a transverse middie makes sense as well since it comes that way and it isn't so much weight that would you end up tail happy. It would be relatively easy to balance the weight of the engine lump with battery & gas tank placement so that you end up where you want to be. Also it's becoming ubiquitous and therefore cheap. A long while back there were people on here wanting to build a Geo motored "spec" Locost for racing, this makes more sense for that. These things appear to be underrated stock. Bone stock it's putting down to the wheels more than its crank rated numbers. And since you can get the management system and harness with a tune to match how you're building your car you could end up with a pretty spritely and light car. If done as RWD you don't need one of those heavy transmissions so that helps weight and packaging. I see a lot of them on the road, but I haven't priced them from wreckers as I didn't realize they could even be any kind of option till I saw the link on the standalone system. This engine just reminded me of the 3 cylinder Geo engines builds everyone was talking about back in the day. Everything in a build is a compromise, right? If cost isn't a consideration, Cosworth will make you a helluva light engine with a whole ton of HP. Probably around 250 pounds and I'd bet 1000 hp, at least. Maybe BMW has a left-over cast iron 4-banger block from its old F1 program (maybe has been urinated on for 20 years, if the stories were true?). So yeah, we could build a respectable lightweight car with the 3-cyl stuff from Ford, or the 4-cyl 1.4L stuff from GM for that matter, and it would probably work great. Should I ever complete my current build, I might even look around for such a donor motor for that next build. My concern is that I'd spend a lot of money to get a 100-pound weight reduction compared to a Miata donor?